This interview is a powerful, compelling and substantive argument for the world historic importance of BA and the new synthesis of communism. 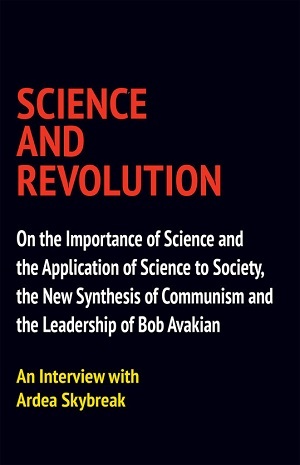 Coming from a deep intellectual and critical thinker in her own right, Ardea Skybreak makes the case for what BA and the new synthesis concentrates, and what it means for an advanced intellectual to do their work in the framework of the new synthesis: the tremendous vistas of discovery that can be opened up, in the service of humanity getting free. Download the full interview in PDF format here.